If you’re determined that your next family vacation, will be your best family vacation yet, it’s well worth continuing reading to discover 3 of the best family vacation spots in the world. While you may not want to visit Cancun during spring break when it will be inundated with groups of party focused teens and college students, during off-peak seasons, Cancun makes the perfect vacation for a fun-filled family getaway! If you visit Cancun with your kids make sure to visit Xcaret, an ecological theme park where your kids will be able to swim with dolphins and ride rubber tubes down an underground river. As a bonus, Excaret also offers archeological ruins and entertaining shows, which feature traditional Mexican dances. Whilst in Cancun, it’s well worth staying at an all-inclusive resort, which offers a wide array of exciting activities. Examples of which may include stand up paddle boarding, snorkeling and kayaking. As an added benefit most all-inclusive, oceanfront resorts also feature on-site kids clubs, which means that you’ll be able to enjoy a romantic date with your partner or spouse, whilst your kids make new friends in your chosen resort’s kids club. 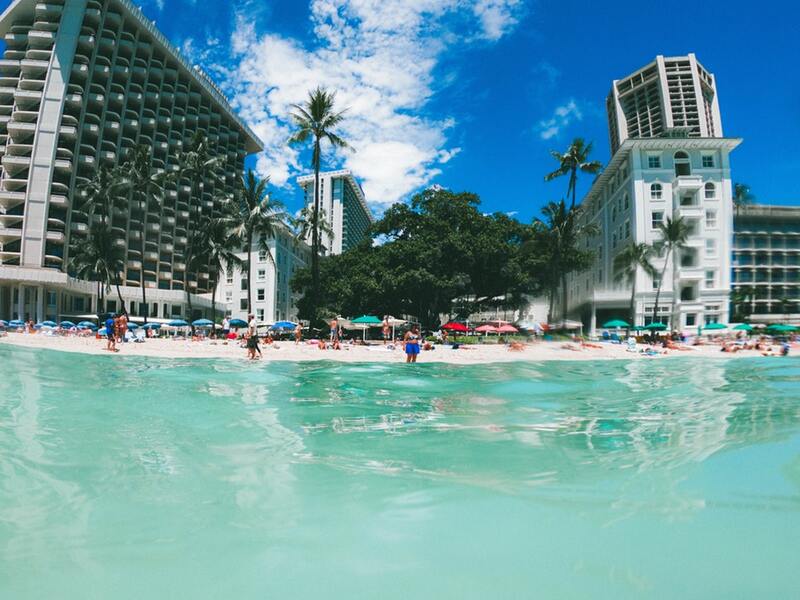 If you’re looking for a tropical destination which offers endless sunshine, a huge selection of beachfront resorts and a long list of adventurous, family-friendly activities, it’s well worth booking a family vacation to Oahu, Hawaii. If you’re curious some of the activities which you can bond with your family members over include learning how to surf, attending a luau, learning how to hula, taking a ride in a submarine, hiking to a waterfall and taking a tour of some of Hawaii’s most used film locations. If your children are huge Disney fans you’ll ever have a chance to stay at Aulani, Disney’s Oahu based resort. Better yet, guests at Aulani will have the chance to get their picture taken with Moana, from the hit movie “Moana”. If your children love anime style programs such as Pokemon, they’ll be sure to fall in love with Japan. Whilst in Japan you’ll also be able to visit a cafe where your family is served by robots and to try and a wide variety of local foods. Examples of which include mochi which is a type of rice cake and sometimes contains ice cream as well as udon soup and sushi. If you’re interested in treating your kids to a unique experience why not visit a Teppanyaki style restaurant where they’ll be able to catch their food in their rice bowls. Tokyo is also home to one of the most popular Disney theme parks in the world, Disney Sea. So if your children have been begging for you to take them to Disneyland for several years, they’ll love having the opportunity to finally visit a Disney theme park. If you’re interested in visiting Tokyo, it’s definitely worth trying to coincide your visit with Japan’s annual cherry blossom festival! During which Tokyo’s many cherry blossom trees will be in full bloom. No matter whether you choose to visit Hawaii, Japan or Mexico, you’ll be sure to make special family memories which your family will cherish for a lifetime!